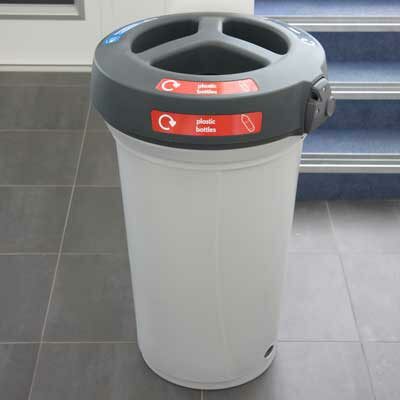 Glasdon recycling bins are designed to help you create an effective indoor or outdoor recycling programme. 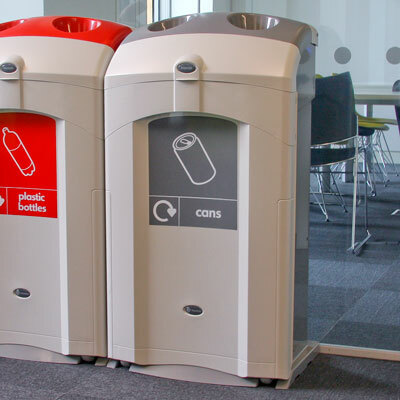 We manufacture the widest range of recycling bins in a variety of materials, styles and capacities to suit the needs of your organisation. 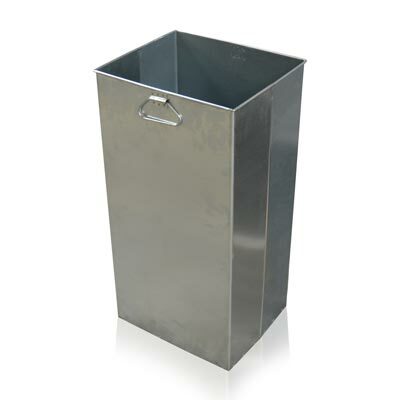 Choose from single and multi-stream containers, made from a variety of high-quality materials to provide a long, low maintenance, service life. 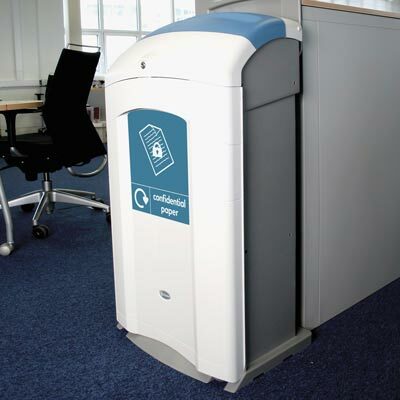 We offer a wide range of attractive indoor recycling bins for all waste streams including paper, confidential waste, batteries, plastic bottles and coffee cups. 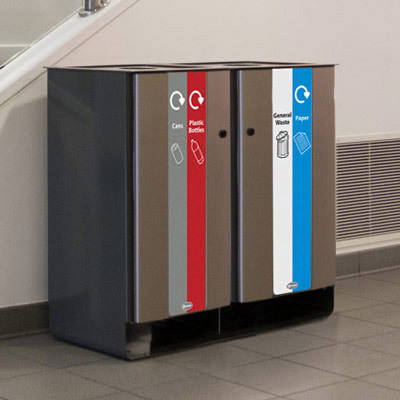 As an established manufacturer of recycling bins, we know that signage plays a very important part in the success of recycling initiatives. 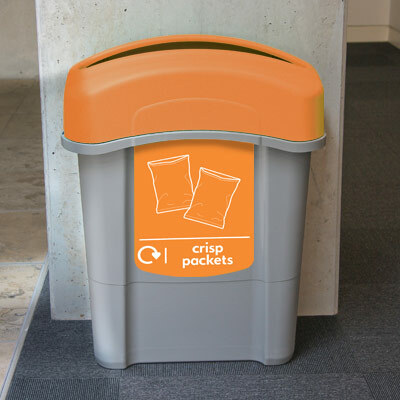 This is why we specifically design our bins with areas for standard ‘recycle now’ graphics along with the options to add your own corporate branding and recycling graphics through our personalisation service. 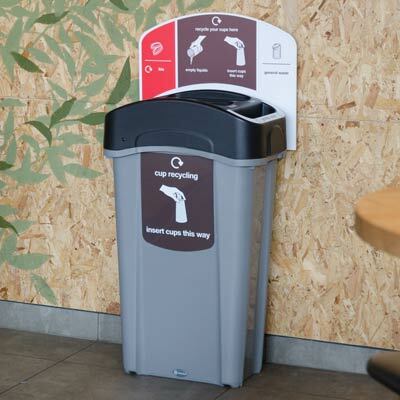 With the use of vibrant colours, helpful signage and a variety of apertures, we can help you create a programme that eliminates recycling confusion, reduces cross contamination of waste and improves everyday recycling rates. 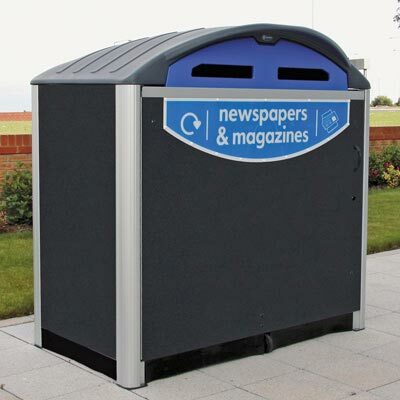 If you are looking for a durable recycling station for an outside environment, take a look at Glasdon outdoor recycling bins and bin housings. Made from robust materials, these hard-wearing outdoor containers are specially designed to withstand extremes of temperature and the most severe weather conditions. 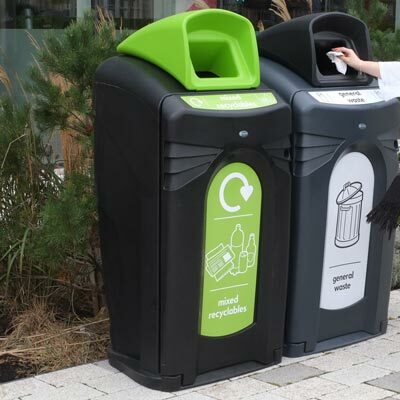 A great way to improve on-the-go recycling, is to provide a duo or trio unit for more than one waste stream. 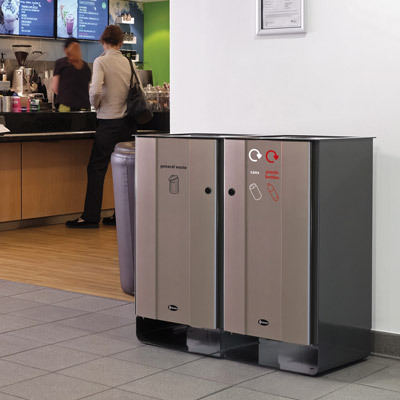 These space-saving solutions collect common recyclable waste, while the separate compartments and moulded apertures reduce waste cross contamination. 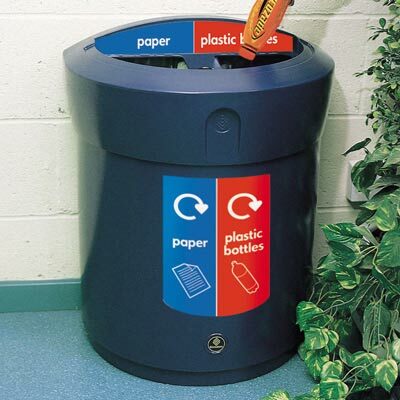 Need help with your next waste audit? We offer free, no obligation advice to help meet your organisation’s requirements and recycling targets. 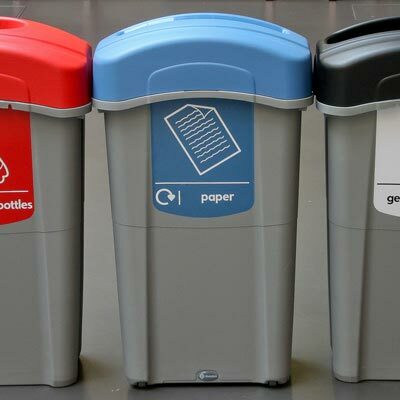 Request your Waste Management Audit today.